Cook spinach as directed on box; drain well. In 2-quart saucepan, melt butter over medium heat. 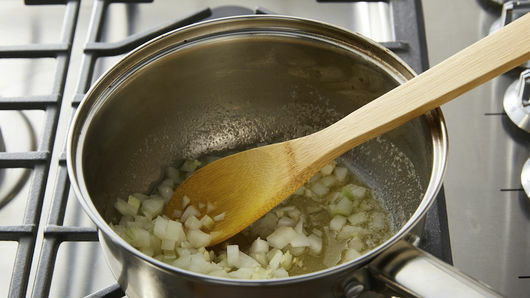 Add onion; cook 4 to 5 minutes, stirring frequently. Add garlic; cook about 1 minute, stirring frequently, until onion is tender. Stir in flour with whisk until mixture is smooth and bubbly, stirring constantly. 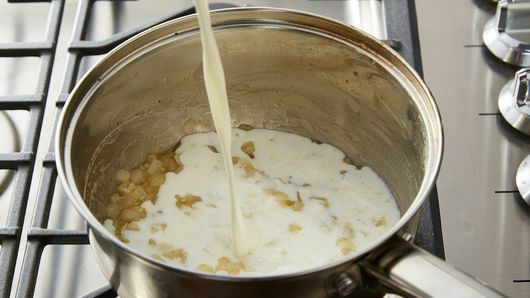 Gradually stir in milk until mixture boils and thickens, stirring frequently. Stir in salt and pepper. Stir in drained spinach; cook until thoroughly heated. 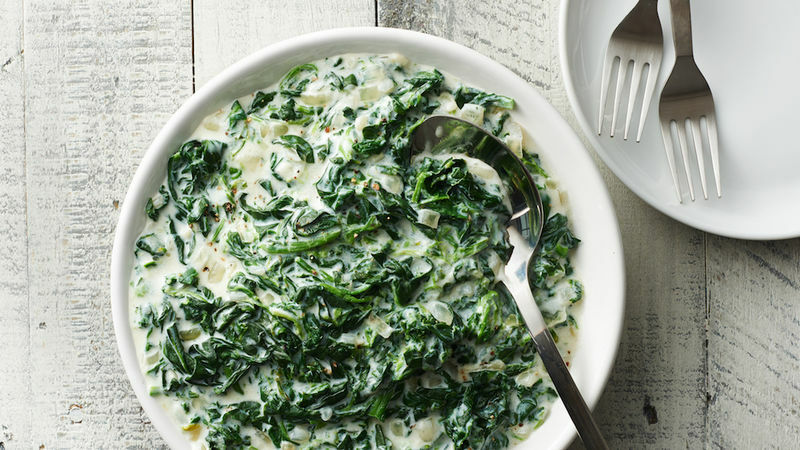 You can microwave both packages of spinach in a glass bowl, covered, for 10 minutes. 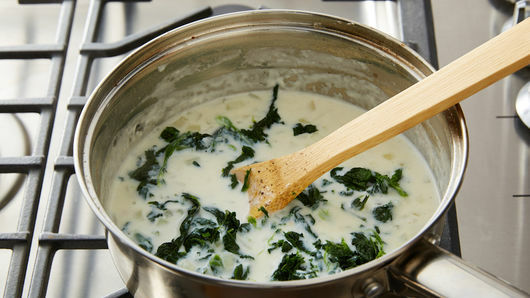 Separate with a fork, and cook 4 to 5 minutes or until spinach is tender. Drain spinach well by lining a colander with a couple sheets of paper towel. Wrap towel around spinach, and squeeze water out.